“Sure,” I answered quizzically, readying myself for the unveiling of my fiancé Tim’s secret scheme. I stared at him blankly, confused by his adorably delivered request. “The Little League® what?” I asked. Ungifted in the athletic department and largely unfamiliar with America’s pastime beyond what I had gleaned from The Rookie and A League of Their Own, I hesitated, not knowing what I was about to agree to. But my skepticism was no match for Tim’s enthusiastic plea. How could I say no? 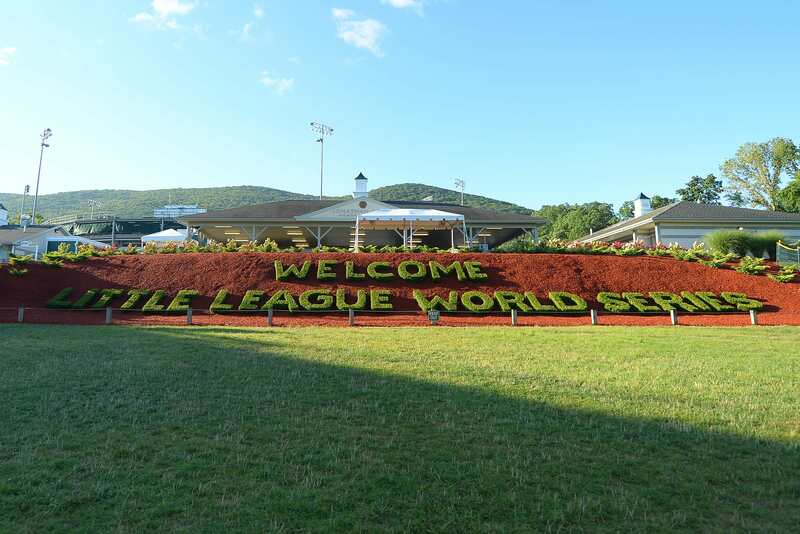 With a nod of my head, we added the Little League World Series to our summer calendar. Fast-forward a couple of weeks: We pulled into South Williamsport. Feeling sluggish, I yearned for more sleep, perplexed as to how I could have acquiesced to such a detour the morning after my Princeton roommate’s wedding. “Where are we?” I thought to myself as we entered the rural town. Jam-packed with baseball’s most loyal disciples, South Williamsport seemed to have been turned upside-down — hushed country roads had been transformed into major thoroughfares; front yards had been converted into parking lots. Though the scene was foreign to me, it quickly became apparent that my fellow World Series attendees, decked out in Little League apparel, brandishing gigantic foam fingers and inspirational signs, meant business. This wasn’t just a fun pit stop or “I’m glad we saw it” kind of venture. This was a dream come true. After scoring a parking spot, we found our way to South Williamsport’s twin stadiums — Lamade and Volunteer. Tim walked with a palpable pep in his step, smiling at every detail, brimming with nostalgia from his own Little League days. Tim’s zest for life is one of the things I love most about him; but there was something more elemental, more visceral, about his enthusiasm on that day. I don’t think I had seen him more excited in our nearly four years together. Then, as if we had encountered it by accident, there it was: Little League’s resplendent mecca. Thousands of eager spectators dotted the hills surrounding the two stadiums, equipped with blankets, beach chairs, and binoculars for optimal viewing. To my right, kids wildly descended a mud-soaked chute, hewn from the earth by frequent use. As a compulsive neat freak, I cringed watching the sticky sludge envelop the little munchkins as their parents — equally horrified — watched from below. Admittedly, a strong part of me envied their carefreeness — their ability to make a wonderfully fun mess unfettered by responsibility or fear. I found myself laughing as they slipped and slid, almost wanting to join them — my bright sneakers be damned. Making our way to Volunteer Stadium, Tim and I followed our noses to one of the aromatic food stands, boldly defying our wedding diets as we ordered some of baseball’s most highly caloric treasures. Step by step, my early reluctance gave way to joy, as I blended into the euphoric crowd. Figuratively and literally, I was eating this experience up. As Tim and I considered where to set up camp, we found ourselves at the stadium entry, looking out at a nail-biter between Japan and Panama. Suddenly, an usher stepped up to meet us, looking as though he was about to tell us — two pathetic, ticketless fans — to get a move on. Urbanized to our core, we apologized, swiftly moving out of the way to avoid any trouble. “No, no, you don’t understand,” he reassured us, “I can find you guys some great seats!” “Oh my gosh ... that would be great!” we exclaimed. In this era of tightly wound schedules and ever-growing to-do lists, this kid’s words hit me hard. Time did seem to stand still in this Pennsylvania enclave, shielded, even if just momentarily, from the outside world. All around me were people, young and old, all mesmerized, drawn to the sweet cadence of our country’s most venerated and connective game: pitch, swish, clink, fly. I couldn’t remember the last time I had seen an athletic event like this. Had I ever seen an event like this? There was no swearing or name-calling. There was no alcohol. There was no talk of college scouts or “going pro.” Even the parents seemed abnormally laid-back: These were not the hyper-competitive adults so often heard yelling from the stands at their kids’ athletic events, yearning for the materialization of certain latent genetic gifts — or worse, for their own forsaken dreams. No, the Little League Baseball World Series was about the kids, and the kids alone. Even more striking was the remarkable diversity of the crowd. Encompassing a multitude of ages and races, there was something beautifully, almost defiantly global about it. As a native Washingtonian, grounded in a highly partisan, label-obsessed milieu, conditioned to peg almost everything as either redemptively blue or apocalyptically red, I was tempted to politicize what I saw. How could this menagerie exist so harmoniously? Had Tim and I stumbled upon a warp of time and space? Had we died and gone to the ultimate Elysian Field? As Tim and I watched the final inning of the game, chowing down on our gigantic pretzels and chuckling to the kids’ responses to “What’s your favorite food?” or “What’s your favorite subject?” a wave of gratitude and peace washed over me. How rare is it, I thought to myself, to be in a place so free from politics and judgment — to enjoy such pure, inconsequential fun? 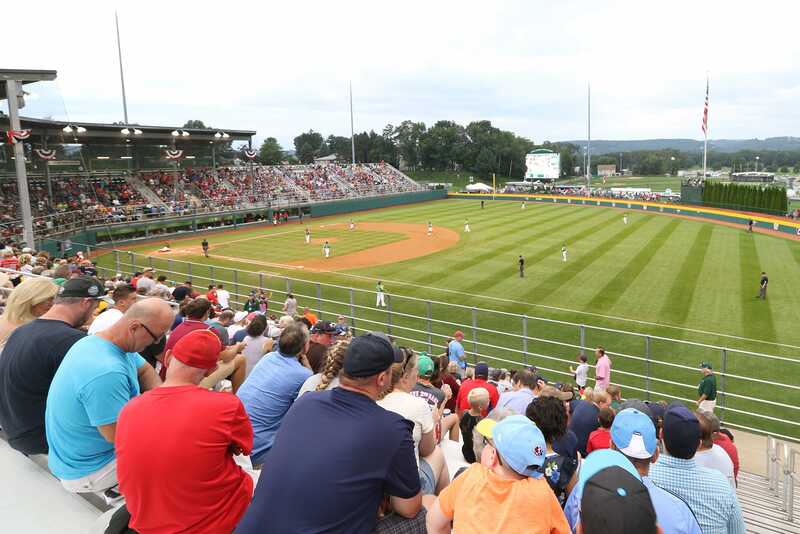 The Little League Baseball World Series may be a wrinkle in our complicated, increasingly acrimonious universe, yes, but it doesn’t have to be. Perhaps, instead, it is the elixir we crave, the reminder we need, to come back to ourselves. Thank you, South Williamsport, for giving it to us. “So what’d you think?” asked Tim, as we got in the car to continue our way back home. “It was amazing...,” I gushed, looking in my side-mirror, sad to see the stadiums fade in the distance. This article originally appeared in Princeton Alumni Weekly and was written by Cornelia Lluberes in October 2018.